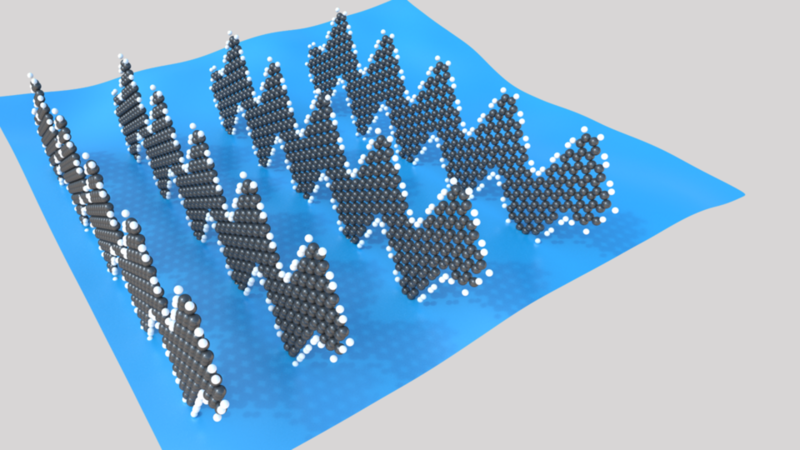 This rendering shows gas molecules widening the gaps between rows of the team’s graphene nano-ribbons. 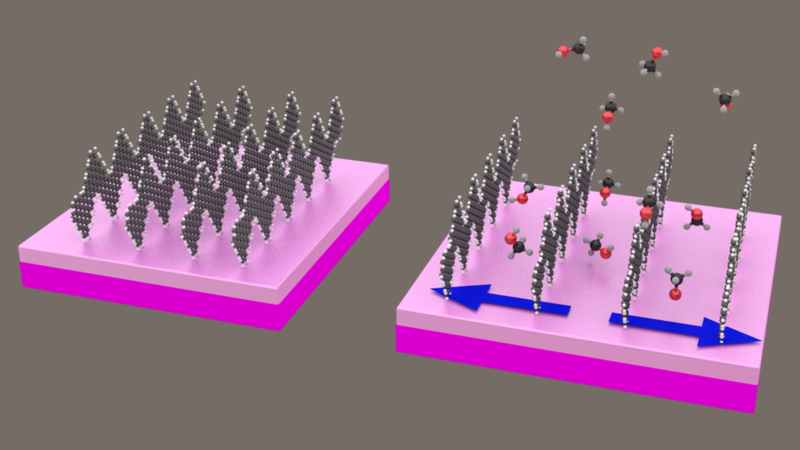 Nebraska’s Alexander Sinitskii and his colleagues have proposed that this phenomenon partly explains how the nano-ribbons grant sensors an unprecedented boost in sensitivity. 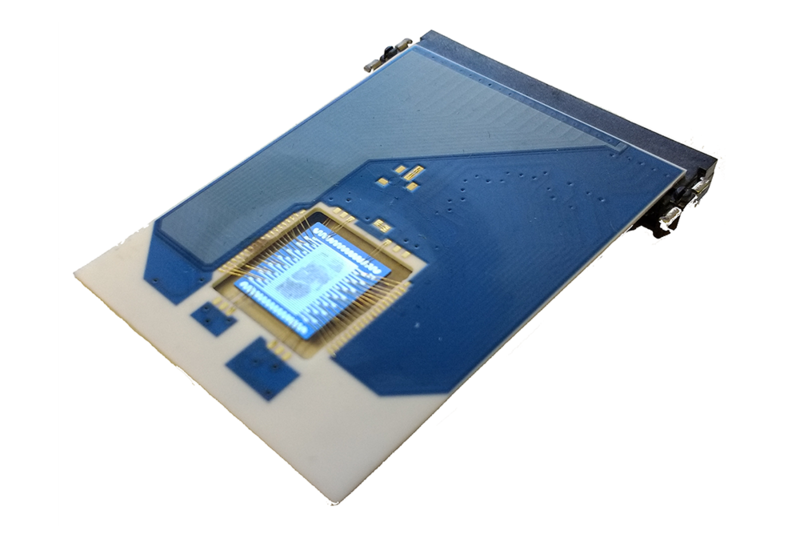 A sensing chip that can accommodate nanoscopically thin films of the team’s graphene nano-ribbons.